Big Tom is a wonderful twist on a traditional tomato juice. Delicately blended with herbs and spices, we've taken the lonely tomato juice and created a spectacular fusion with mustard, celery, cloves, pepper, chilli, ginger and more. Serve chilled for the perfect party drink, pair with beef, cook with chicken, drizzle on salad... sip in front of the fire or blow up the lilo and pop a brolly in! Big Tom is the ultimate spiced tomato mix and the perfect drink for every occasion. Tomato juice from concentrate (95%), spice blend flavouring (contains celery and mustard), Worcestershire sauce (water, white vinegar, sugar, syrup, salt, tamarind, garlic, pepper, clove), sugar, salt, malt vinegar (from barley). 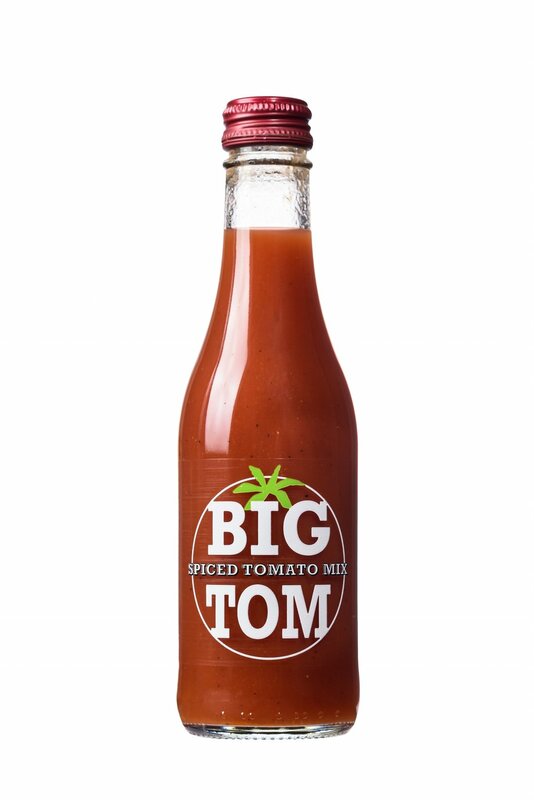 When you just can't get enough Big Tom, our 750ml bottle is the ideal size for a good flow of spicy tomato mix. Only need a nice tall glass of Big Tom? Our 25cl option is for you. The ultimate single serve Bloody Mary Mix! Find our Big Tom can on airlines, such as British Airways, EasyJet and Emirates, and now in Waitrose.